More than 51,000 Nova Scotians have their name on waitlists to receive a family doctor. One in five are living on The Island. 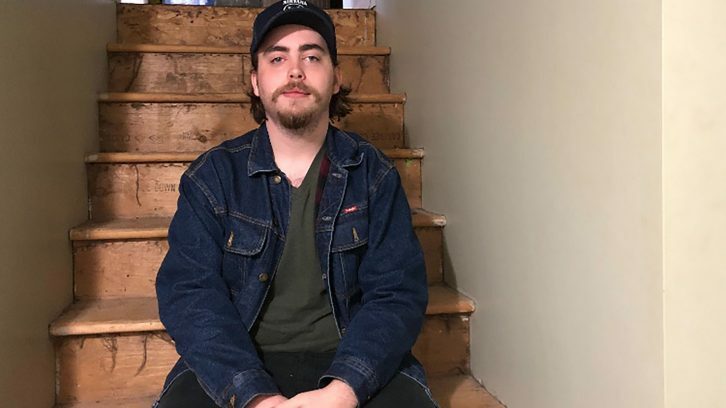 It was around 7 a.m. when Adam MacNeil unexpectedly awoke in pain – the worst pain he had ever experienced. Thinking it was just a dream, he didn’t worry at first and tried to get back to sleep. But the pain in his testicles grew worse. MacNeil tried to move but was unable to stand up. His mother was the only other person in the house and she was two floors above him. The pain was so severe he couldn’t even scream for help. It was 2014. 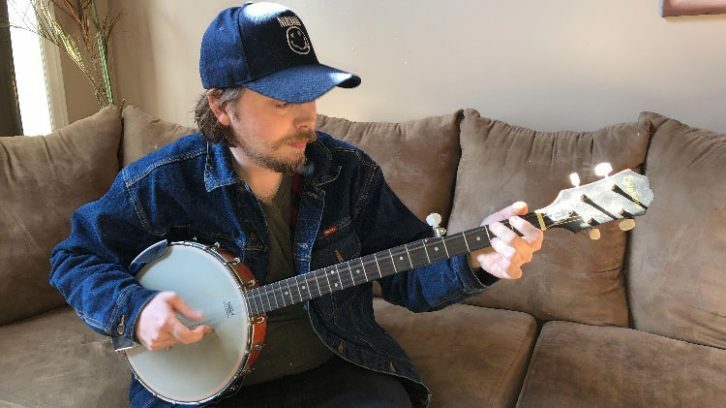 MacNeil was a 19-year-old musician who played guitar and banjo in the Sydney and Glace Bay areas. He was living in Bridgeport, a small community on the outskirts of Glace Bay. MacNeil had no previous health issues and had been mostly healthy his whole life. He never had a previous experience in a Cape Breton emergency department. Cape Breton has had a doctor shortage for a long time. In recent months, many people have been calling it a crisis. Cape Breton Regional Hospital in Sydney is the main health centre on the Island and there are eight other smaller hospitals in outside communities. Sporadic closures of emergency departments have happened for years, usually on weekends because there are not enough doctors. The most recent closure was this on month’s St. Patrick’s Day weekend. Glace Bay, North Sydney and New Waterford hospitals all closed their emergency services, to free up doctors to tackle emergency cases at the regional hospital. When the emergencies are open, patients still have a long wait time ahead of them because whoever has the most serious health issue will be admitted first. Potentially adding to the problem, the Nova Scotia government announced in June 2018 that it planned to close the community hospitals in New Waterford and North Sydney. The Glace Bay and Sydney hospitals’ emergency will be upgraded to accommodate the influx of patients from the communities losing their hospitals. North Sydney residents will now have to drive at least 20 minutes to the regional hospital emergency, and New Waterford residents will face a similar drive to emergency in Glace Bay. Thousands of Cape Bretoners don’t have a family doctor and have to resort to going to emergency departments for assessment and treatment. There are approximately 80 family doctors, emergency doctors and specialists to serve Cape Breton’s population of 132,000. The Canadian ratio is 2.1 doctors for every 1,000 residents, while Cape Breton’s is one doctor for 1,650 residents. Approximately 10,000 residents of Cape Breton do not currently have a family doctor. Cape Breton has an aging population, and in MacNeil’s case, this adds even more difficulty to seeking fast treatment. An otherwise healthy 19-year-old like MacNeil, who cannot identify what is wrong with him while in triage, will be left in the waiting room. Betty Rankin, a 63-year-old retired resident of Port Morien, doesn’t have a family doctor. She has been living without one since July 2018. Her former doctor was from Pakistan and decided to move back. Rankin had little notice that the doctor was going to leave until she got the phone call in July, announcing she would have to find a new doctor. She only had one option; call 811 and get her name on the provincewide waitlist, where she now stands behind 20,000 other people looking for a family doctor. Eight months later, Rankin has yet to hear if she will be placed with a family doctor in the near future. She tries to stay healthy and active and goes for walks every day, but the thought of not having a doctor scares her as she gets older. Rankin is also worried about the rest of the 700 residents in her small, aging community. Port Morien is like many other rural communities that make up Cape Breton. Rankin is about 20 minutes away from the closest hospital and walk-in clinics. She wants to avoid going to emergency because of the long wait times and the walk-in clinics only take so many patients a day – she knows she could wait a long time, and never be seen by a doctor. 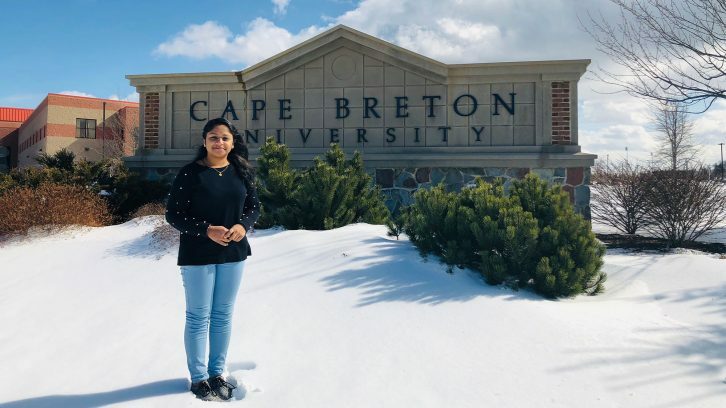 Anju Davis, a 25-year-old Cape Breton University student from Kerala, Southern India, came to Cape Breton to study public health and strengthen her English. In India she has had the same family doctor since she was a child. Davis is extremely worried about not having a doctor here because, since she doesn’t have any previous Canadian health records, she will have a more difficult time gaining access to health care in the case of an emergency. The university has around 5,000 students and approximately 3,000 are international students; every student who comes here adds another person on the Island who doesn’t have a doctor. She has reached out to the Max Bell Health Centre at CBU, expressing her desire to find a family doctor, and she is currently waiting along with thousands of other Cape Bretoners. Many international students visit the health centre but staff there cannot diagnose illnesses or injuries – they can only provide a nursing assessment. Davis recently had a scary moment when one of her friends, who is also from India, was injured. Davis’ friend was opening up a can and when she went to remove the lid her hand slipped and sliced a large gash in her palm. She was rushed to emergency at the regional hospital. Her hand was bleeding and the triage nurse could see her struggling to contain the blood from dripping. The nurse told her to sit in the waiting room, the doctor would see her shortly. Three hours went by and the cut never stopped bleeding; finally it was her time to see a doctor. Davis said in India this would not have happened. In India if you went to an emergency with a gash that was bleeding there is no waiting, they will send you in to see a doctor immediately and get it stitched. Davis stays cautious for the time being because she doesn’t want to have a scary moment like her friend, whose wound could have become infected during the time she had to wait. Adam MacNeil had no idea what was wrong with him. All he knew was he needed medical help. He tried to stand but couldn’t – the pain in his testicles wouldn’t allow him to straighten his body and every time he moved, he felt nauseous. MacNeil rolled out of bed and onto the floor, and managed to get to the stairs. He crawled upwards using his hands to push his lower body up each step. The first set of stairs took a lot out of MacNeil. The pain worsened every time he moved his body. He still could not yell to his mother, who was now only one floor above him. He made it as far as he could and he just lay on the floor in his living room. When MacNeil’s mother came downstairs, her jaw dropped as she saw her son writhing in pain on the floor. “I think I need to go to the hospital,” MacNeil said softly. She got him into her vehicle and drove to the Glace Bay Hospital, around 10 minutes away. 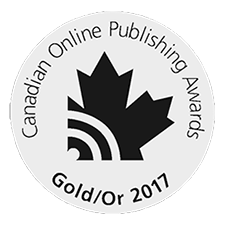 When they arrived at the emergency department, MacNeil went to the triage nurse and attempted to describe the intense pain in his testicles. The nurse asked how much pain he was in. MacNeil was fading in and out of consciousness by this time, and his body started to go numb. He couldn’t remember what his response was, but the nurse told him to go take a seat and he would be called when a doctor was available. It was early in the morning but the department was already crowded with patients waiting to see a doctor. MacNeil still had no idea what was wrong with him; he only knew he was in a lot of pain. He hoped his condition and the way he described his symptoms in triage would move him up on the waiting list to see a doctor. Dr. Stephen Farrell has a family practice in New Waterford and also works in emergency of the New Waterford Consolidated Hospital. He has been practicing medicine for 43 years and is beginning to slow down. Many Cape Breton doctors are singing a similar tune because they hope to retire soon. As a result, Farrell isn’t taking on any new patients. He is attempting to do less, to transition into retirement. On an average day he is spending 12 hours working, some days bouncing between the family practice and the emergency department. When Farrell or the other doctors who have been practicing many years retire, they will leave hundreds more people without doctors. Farrell believes a big part of the problem with the doctor shortage in Cape Breton is the number of doctors choosing to become a specialist. He said when he first started practicing medicine, about half of new doctors chose to be a family doctors and the other half opted to be a specialist when they were coming out of school. Over many years the percentages stayed mostly consistent but in recent years the number of family doctors have dropped to the 20-to-30-per-cent range. Farrell said that those who chose to be a family doctor are also the doctors who work in emergency. The shortage of family doctors and the long wait times can only be solved by having more family doctors. Martin believes the provincial government needs to listen to the doctors, nurses and other health-care professionals who have better insight to solutions in their hospitals. She also believes that the community hospitals should remain open to alleviate the additional pressure that will be placed on the staff at the regional hospital. Emergency remained full all day. Ambulances also brought more patients, who typically take priority over those in the waiting room. 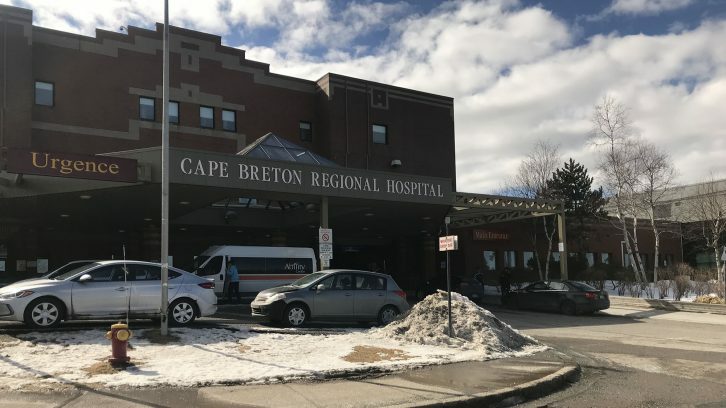 After four hours, MacNeil finally got to see a doctor, who tried to tell him he had a sexually transmitted disease and said he would have to drive into the Cape Breton Regional Hospital in Sydney to get an ultrasound. Once he had arrived there, he had to wait another 40 minutes until he had his ultrasound. The doctor at the regional hospital told him he would have to drive back to Glace Bay for the results. He had to once again be assisted out of the car and into a wheelchair and the doctor came out immediately and told him he was sorry for saying he had an STD, and that his condition was much worse. The ultrasound revealed he had testicular torsion, which happens when the spermatic cord that provides blood flow to the testicle rotates and becomes twisted. It is an emergency condition that needs to be fixed with surgery as soon as possible after pain is detected. Between four to six hours after pain is felt, patients have a 90-per-cent chance the testicle will be saved. After 12 hours it drops to 50 per cent, and after 24 hours it drops to 10 per cent. After MacNeil’s second, 30-minute drive into the regional hospital in Sydney, he had another hour to wait until he finally put on the surgical table. The whole time he was waiting, he thought about how every minute the chances he could lose a testicle increased. The doctor was able to untwist the cord and save the testicle. MacNeil was lucky. By the end of the operation, due to the wait times caused by the doctor shortage, 14 hours had passed since he first felt pain. MacNeil was given enough medication to tide him over for the next few hours before he left emergency. But pharmacies were closed by the time he was released. It would be another day before he was able to obtain the pain medication he required. Well done article. Since fewer doc ate opting for family medecine NS needs to hire Nurse Practitioners who have the training to be family care practitioners…can do all that family docs can do.